We have always been confused while reviewing Harleys on ThrottleQuest.com, confused because we were never sure if we should follow our own style and norms of a review. 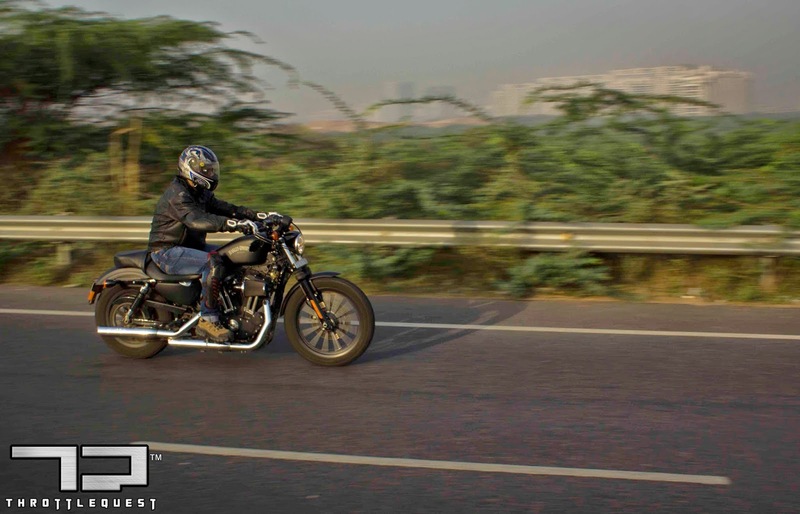 When we reviewed the Harley's Superlow 883, around 7 months back, we were confused then and this time when we got our hands on another Harley Sportster - the Harley Iron 883, well, what more to say, we are still confused and we are happy about it. It is an unforgettable feeling for any biker in the world if his motorcycle could talk to him. A dream that every motorcycle lover wishes to realize. Press the thumb starter on this Sportster from the motor company, the Iron 883, its rubber mounted engine comes to life with a rumble that could be felt in each part of the body, the connect is that direct! The Screaming Eagle exhausts installed on the bike meant that the sound won't go unheard. 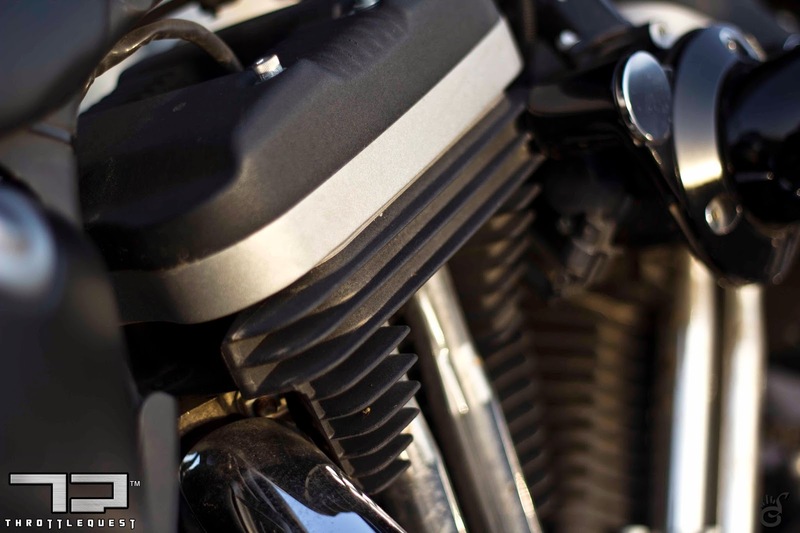 As the fuel injection system settled the v-twin into a nice idle, the classic Harley note became consistent and each beat could be segregated like a person’s heart beat. The bike slots into the first gear with a clank and the motorcycle lunges with a distinct thrust. A hundred and twenty comes within few short seconds, the engine felt refined and the bike absolutely stable. 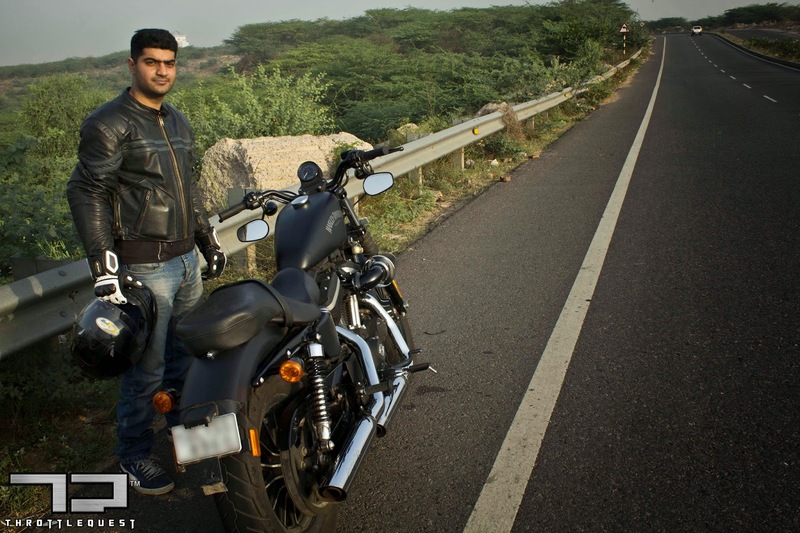 It felt like a sweet spot for the engine and the bike could stay there the whole day on a flat road like we were on, and at those speeds in fourth gear, the sound from the 883cc v-twin is so uniform and mesmerizing that you would want your mind to record it and then play it at will. One can listen to this enhanced aural note all day and night and still can listen it all over again without having goose bumps. 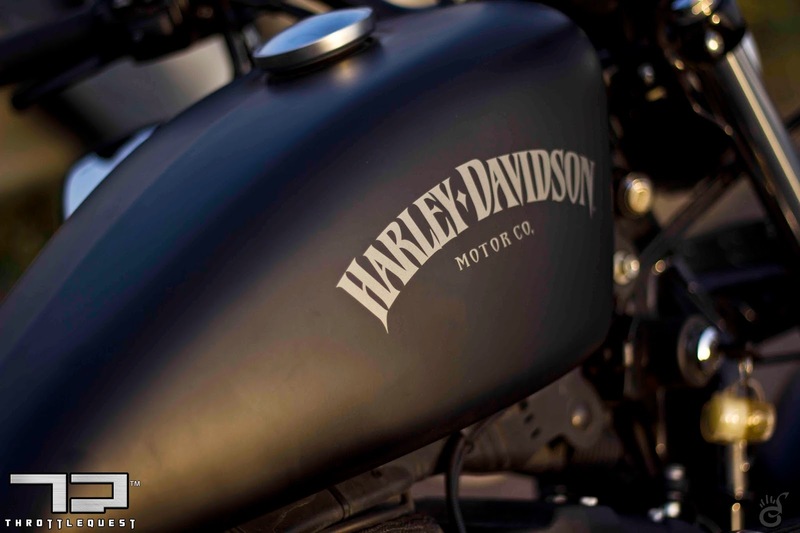 The Iron 883, that we rode today had the Screaming Eagle exhaust and the Heavy Breather free-flow air filter installed, both are part of Harley Davidson's genuine accessories. The difference they make primarily to the motorcycle's sound and performance should be heard to be believed and ridden to the realized. Fortunately, while we were with the Iron 883 and talking about it, a guy on the Street Bob passed us. He wasn't fast and had the standard exhausts on the bike. 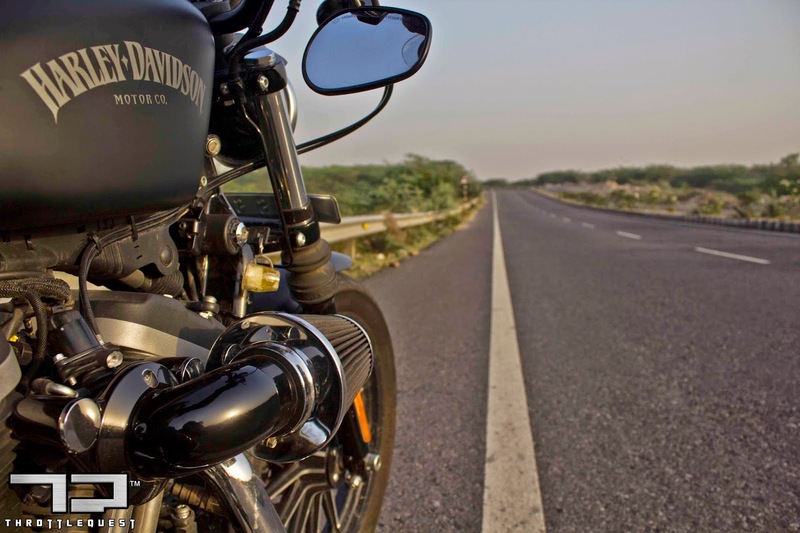 Now, the Street Bob comes with a bigger 1585cc engine. 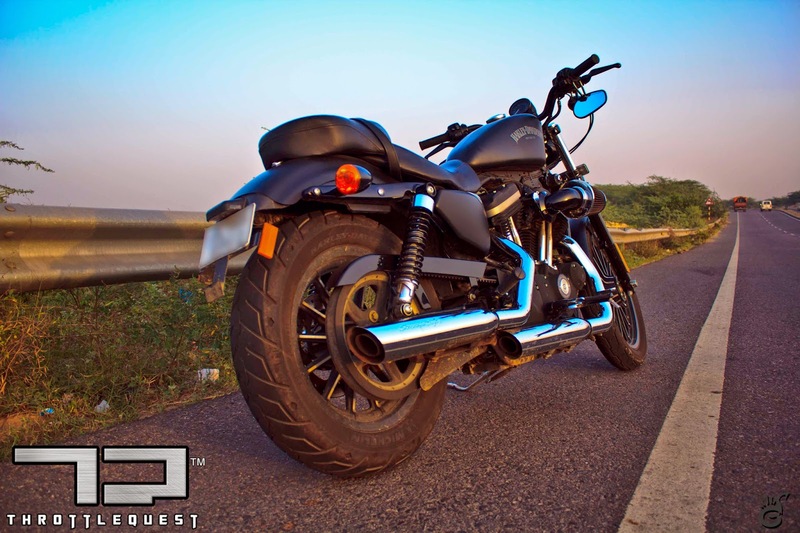 Even then, compared to the Screaming Eagle equipped Iron 883, the Street Bob with the stock exhausts appeared almost silent! Thanks to the emission norms I guess! V-twins are considered to be one of the most soulful engines on this planet and the ones from Harley-Davidson are immensely loved. The Iron 883 has a great character for a "small" v-twin and the Screaming Eagle exhaust is a great way to enhance it. 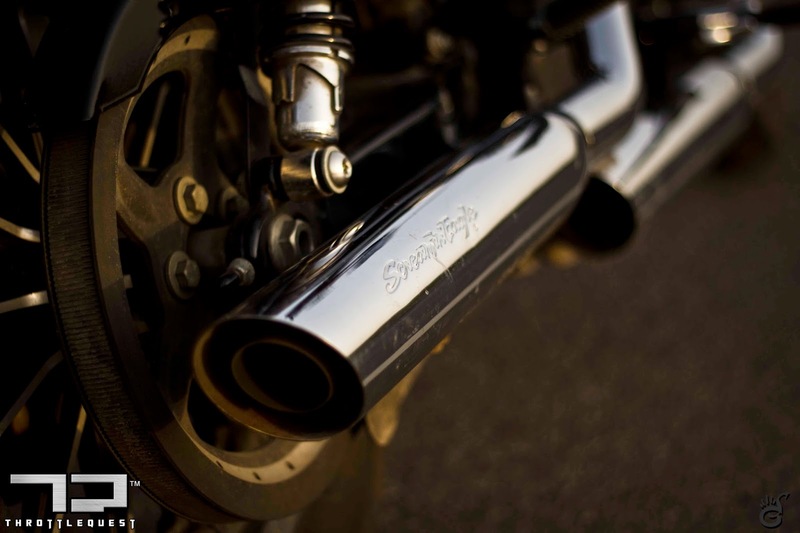 The amplified v-twin sound instils a different kind of a confidence in the rider, a sense of fearlessness if I can say. We had a wonderful time today playing with the Iron 883. Thanks to Sheldon for letting us ride his motorcycle. We can say that this relatively small Harley is a very good city motorcycle and on our roads, it’s an equally capable mile muncher as well. 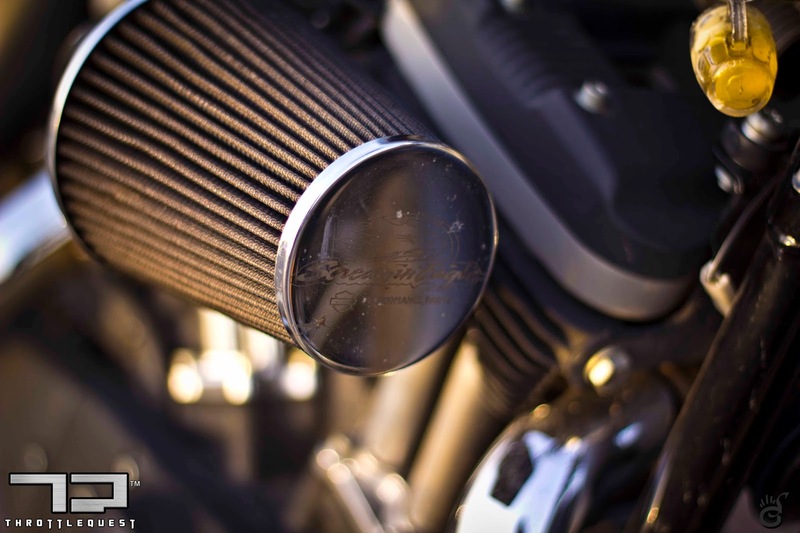 The exhaust note it produces especially with the Screaming Eagles makes us feel like ride it all day long. where were these professionals trained to conduct these tests? never mind. that answers my question. Good that you got the answer for your question (based on your good judgement and thought process)! If you want more details then refer to Krishnendu's response above, and if you were really serious about your question in the first place, let us know your details and we can help you in getting the training that our team has. Dear Sajal, I think our Anonymous friend wants to know the name of the motor training school in Munich. No, Anonymous... that is not what I meant. And as Sajal said, earlier, we cannot divulge further because it was not a bike riding school in Munich! It is something that is conducted specifically for a particular purpose on their training grounds which also includes major off road practise as well. I am sure you know by now what it is all about. However, as for a bike riding school is concerned, I did it in ECF de Bron. It is near Lyon. That was a professional training and testing plateau. But it was not for testing of this kind that throttlequest.com is doing. Maybe it is clearer now. Did you say twice that we stretched the conversation? I can only read it once, written by you. We are just trying to answer what you want to know to the extent of what we can divulge. However, if you feel that you have more to share or want to know more about my/our credentials, why don't you just call us up, or ride with us together. We can get to know each other better. You seem to be quite knowledgeable and interesting. From a person like you, one can only benefit from such an interaction. It is an open invitation from our side.